US #C13 – Only 93,536 65¢ Zeppelins remain. Click image to order. On April 19, 1930, three special airmail stamps, the Graf Zeppelins, were made available for sale to be used exclusively on mail carried via the Graf Zeppelin on its European – Pan American flights the following month. In the 1920s, many nations became aware of the commercial possibilities of transoceanic flight. However, there was only one company willing and able to initiate this service – Germany’s Luftschiffbau Zeppelin. Even today this firm’s ventures seem daring and visionary. 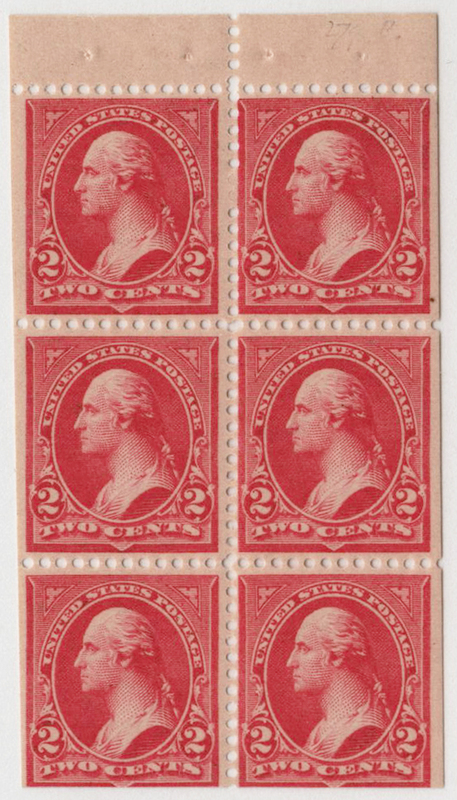 US #279Bj – A pane from the first booklet stamps first issued on this day in 1900. Click image to order. On or around April 18, 1900, the US Post Office issued its first stamp books. 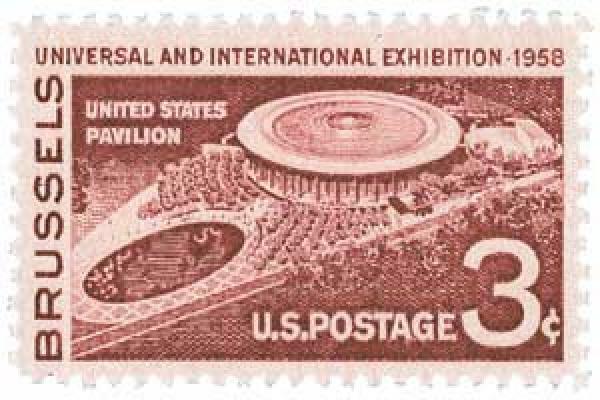 US #1104 pictures the American pavilion and was issued on opening day. On April 17, 1958, the Brussels World’s Fair, also known as Expo 58, opened its doors. Expo 58 was the first major official world’s fair after World War II. Bidding for the fair opened in 1948 and in 1953, Brussels, Belgium was selected as the host city. It would be the 11th world’s fair hosted by Belgium and the fifth held in Brussels. US #3183a from the Celebrate the Century – 1910s sheet. 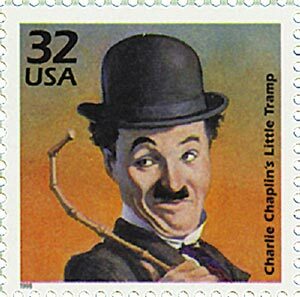 Sir Charles Spencer “Charlie” Chaplin was born on April 16, 1889. While there is no official record of his birth, it’s believed he was born in South London, England. Born to music hall entertainers, Chaplin’s childhood was one of poverty and hardship. His parents were both ill and had trouble finding work. They sent him to a workhouse when he was just seven years old. Amidst his difficult childhood, Chaplin discovered he had a talent for acting, making his first stage appearance at the age of five. US #3184m from the Celebrate the Century series. 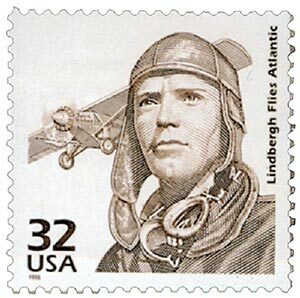 On April 15, 1926, Charles Lindbergh made his first airmail flight. When the US Airmail service was inaugurated in 1918, the Post Office Department oversaw the delivery of the mail. Then in 1925, Congress passed the Kelly Act, which allowed the post office to work with commercial air carriers to create new airmail routes and deliver the mail. US #77 was based on a photo of Lincoln taken in 1861. 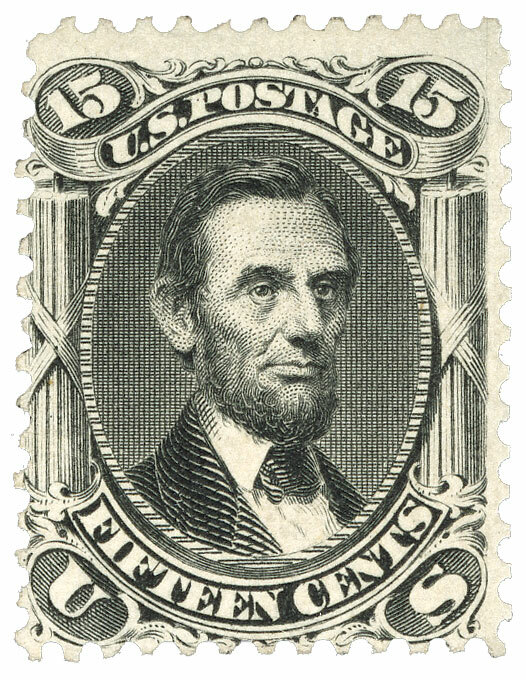 April 14, 1866 was the earliest known usage of the first US mourning stamp, which honored Abraham Lincoln.